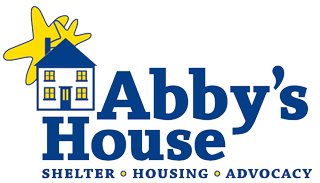 Make a gift to Abby’s House this #GivingTuesday (Tuesday, 11/27) to provide homeless women and children with a warm place to rest their head at night. A place where they can get a nutritious meal and take a hot shower. A place where they can truly feel safe and supported. Gifts in any amount will make a difference. A gift of $35 supports one night of safe shelter. A gift of $245 would give a woman or child one week of shelter. For $1,053, you could give one woman or child safe shelter for an entire month. Make your gift by 11:59 PM on Tuesday, 11/27. Multiply your impact by asking your family and friends to join you in giving women and children a safe, warm place to stay this winter. Together, we can reach this important goal to help women and children have a safe, warm place to stay this holiday season. Double your impact through your company’s matching program! Click here to see if your company offers this program. View our Giving Tuesday video to see how your contributions can be felt for a lifetime when you donate to Abby’s House this Giving Tuesday.